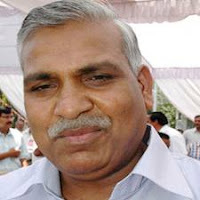 Former Uttar Pradesh family welfare minister minister Babu Singh Kushwaha was arrested in connection with NRHM scam. Along with Kushwaha, BSP MLA Ram Prasad Jaiswal was also arrested in connection with the scam. The case was registered against former family welfare minister in the matter of alleged financial irregularities done in the supply of medicines and medical equipment in 24 districts of Uttar Pradesh under the NRHM scheme during 2010-2011. The sources also said Kushwaha is being named in the case for allegedly helping a Moradabad-based private firm - Jain Medical Hall - in procuring a contract of Rs 3 crore for supply of medicines and medical equipment to government hospitals in 24 districts of the state. The former minister’s name is being included as one of the accused in the case on the basis of the statement of the former Principal Secretary (Medical & Health) Pradip Shukla, two of the Directors General (DGs) of Family Welfare Directorate SP Ram and Usha Narayan and CMO’s of the concerned districts, the source added. Shukla had also been looking after the responsibility of NRHM Director in 2010-2011. Tainted BSP minister is also held responsible for the murder of two former CMOs and death of another officer in Lucknow jail and was expelled from the party in November last year.